Hello and welcome back to my fifth post in the Dining Room Makeover Project! The room is almost complete and I’m loving the end result. This week I’m looking at the Wall Art, including the pictures and wall accessories that I’ve added to the room in the last fortnight. Wall Art can really give your room some impact and pull a scheme together. I’ve had plans for my wall pictures for some time now, and have been so excited to actually get on and put it all up. On the wall above the dining table I have created a wall collage using some pictures from Next and others that we’d had in the loft, or some that we’d had in the room before. I wanted to have a black and white theme yet add some colour that tied in with the wall mural. The trick with a wall collage is to decide on your frame style and colour and then to stick with that. I’d decided to go for black or silver coloured frames, and to use typography style prints where we could to link all the pictures together through a common theme. What about the best way to layout your pictures? Well, for me I like to lie them out on the floor if possible to really get a sense of how it’s all going to look once you put them up on the wall. 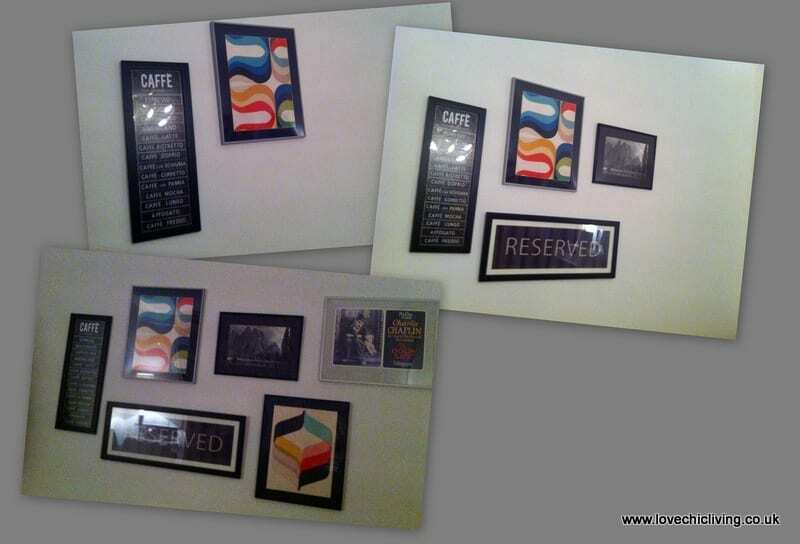 You can play about with the positions and move them around to get the best possible look that fits your wall. If you can, have a starting point for your first picture. I knew I wanted the ‘RESERVED’ print to sit above the table and so that helped in building the rest of the prints around that one. 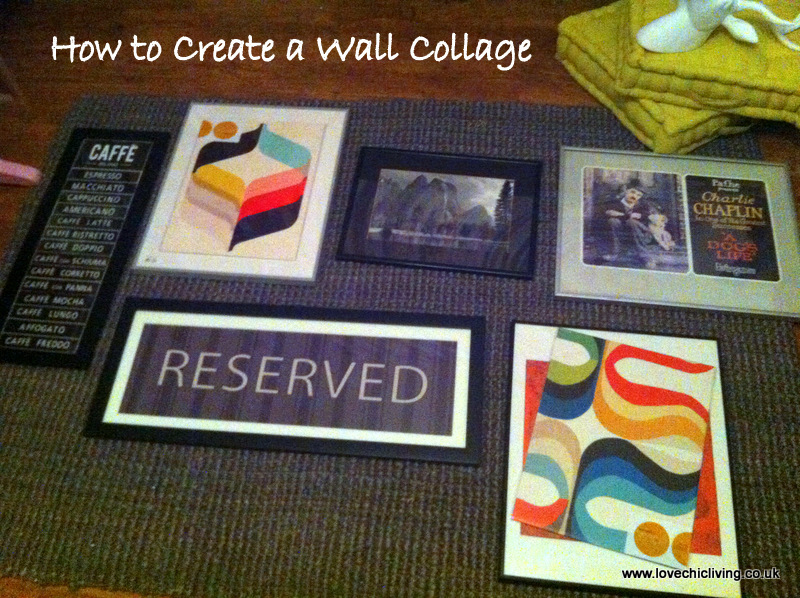 Once you’ve settled on your layout you can start to recreate the collage on the wall itself. Measure the wall and work out where you’re going to start. Measure the width of your layout on the floor and centre this measurement in the width of your wall. Find your starting point and off you go hanging the pictures. Here’s how I built up the collage on my wall. And so the project for the wall is complete and I love the finished look! 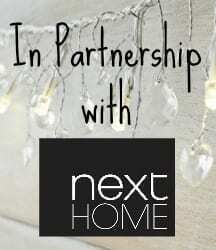 As I’m sure you know, I’ve been sponsored by Next Home during this makeover and have been choosing some lovely pieces from their range to help bring the room to life. 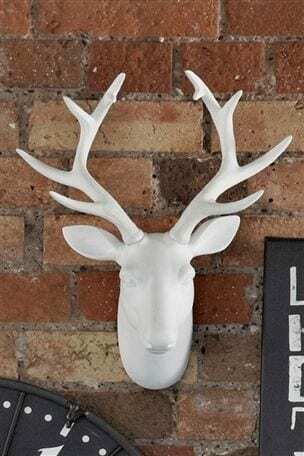 This week one of my all time favourite pieces has to be the Stag Head! We’ve even nicknamed him ‘Steve’ (don’t ask!). He’s quirky and fun, bang on trend for this season and retails at just £35. Take a look at the film below to see how he fits into the room. 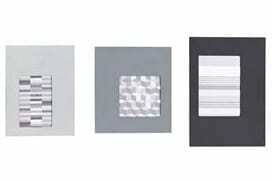 I’m also really impressed with this set of 3 asymmetric picture frames from the Metro collection. I went for them because they have a really contemporary look and when they arrived I loved the quality; they’re so heavy and solid and only £18 for the set. I added a few spare pieces of paper from the wall mural to add some extra colour around the room. And don’t be afraid to make mistakes. I ordered a fabulous clock, again from Next, which I wanted to use a centrepiece on one of the walls, but when it arrived I realised I had completely misjudged the size and it was way too large for the space I’d intended. It’s a fabulous clock and really striking, but it didn’t fit in with the scheme when I saw it in the flesh. So with a little bit of moving around I repositioned this in another room with more free wall space, and used an existing clock that looked much better in the end. And so over to the video for this week. I do hope you like the way we’ve added colour and interest to the plain walls. It’s hard to really give you the full impact of the room on the film but hopefully you can get a sense of how roomy and spacious it now feels. So it’s over to you bloggers. Would you love to share your home interior posts from the last few weeks? 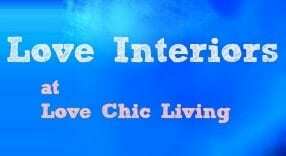 Linkup your favourite home posts and share the interiors love! Please do grab the badge from the sidebar and comment on at least one other post. Having been lucky enough to see the room for real, I can say it is really awesome Jen, I really love what you have done with the finishing touches and would love to recruit you to sort of the actual Alexander Residence. Steve the Stag is ace! Pingback: Buh Buh Oak Benches..
No problems Laura, thanks so much for linking up. Popping over to visit yours right now! I agree with Penny, it is a fantastic room. You have done a such a fab job. The way you have tied it all in with the wall art is brilliant! Thanks Amanda, loving your living room too! Thank you, glad you liked that idea! I might just have to get me a Steve too, he rocks! I love the wall display too, really funky.